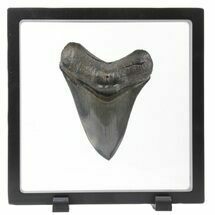 This is a serrated, 3.60" long fossil Megalodon tooth collected from a river in Georgia. 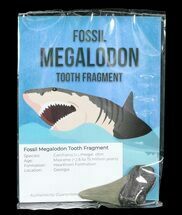 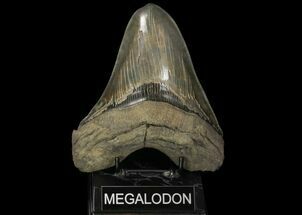 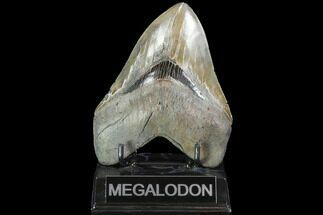 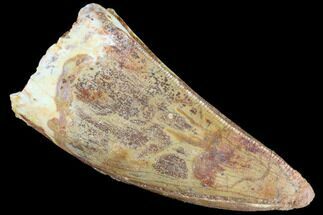 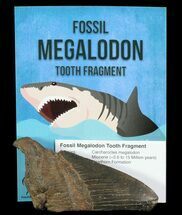 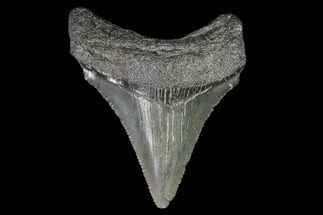 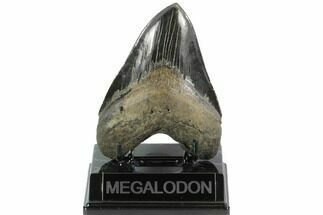 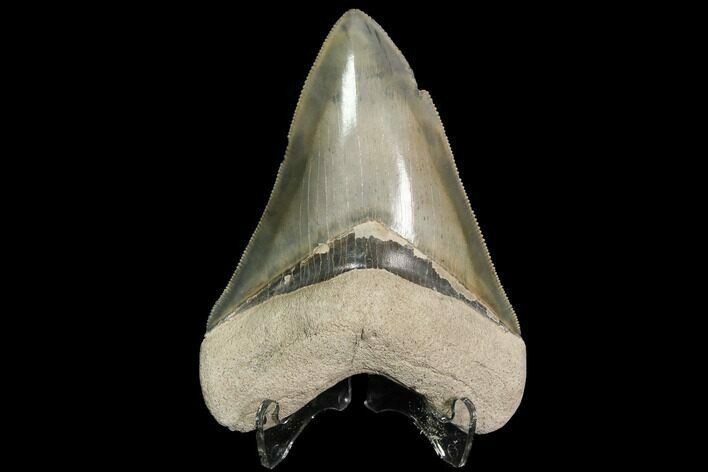 The tooth would have come from a prehistoric, mega-shark in the 30+ foot size range. 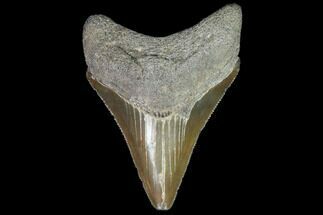 Nice sharp serrations and a fine tip on this beautiful tooth. 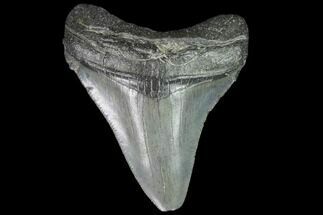 The glossy, grey enamel contrast well with the light colored root.